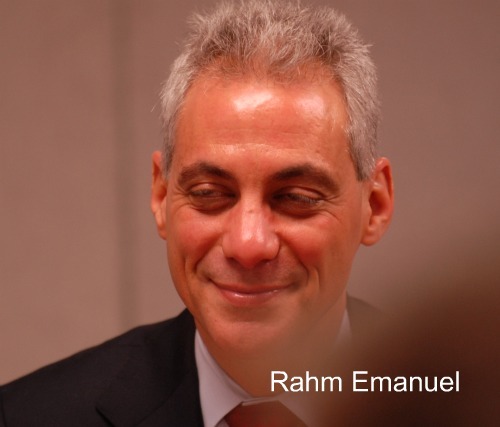 Should Rahm Emanuel lighten off the drinks this new year? 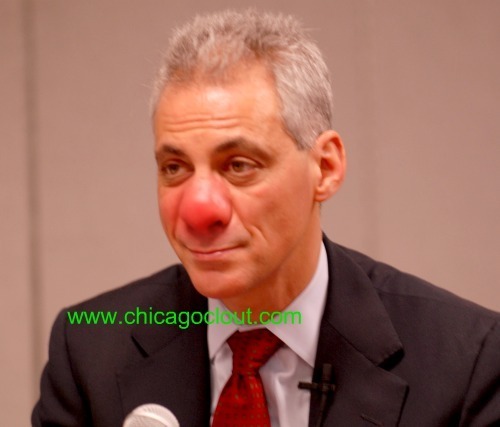 Today was a long day for Rahm Emanuel and the Board of Elections. Listen to all the Candidates in the 50Th Ward, Is the 48Th Ward Asleep? Mayor Daley has installed GPS tracking systems in city vehicles to improve employee accountability and speed deployment of limited resources. Little did he know one of the devices would be used to track down a stolen city truck taken for a joy ride. 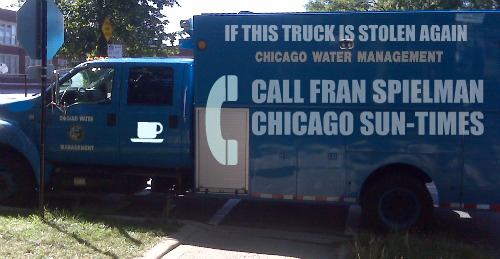 A night investigator for the city’s Department of Water Management is in hot water after his truck was stolen early Saturday morning from the parking lot of a Burrito King on the Far Northwest Side. The investigator and several members of his crew had apparently stopped for tacos, even though they are paid to work eight hours straight. Thanks to GPS, the truck was recovered a few hours later at the Renaissance Apartments on River Road. “Some time around 3 a.m. Saturday, we had a crew on the North Side having lunch. Apparently a truck was taken and driven for an hour or so,” said Water Management spokesman Tom LaPorte. LaPorte acknowledged that the crew was supposed to be working eight hours straight and was not authorized to stop for food. The GPS system was activated by the so-called “leak desk” at the Jardine Water Filtration Plant. Leak desk employees, assigned to answering phones and prioritizing repair requests, were at the center of a 2005 payroll scam. Those accused of falsifying attendance records over a two-month period by swiping each other in and out included the brother-in-law of County Commissioner John Daley, the mayor’s brother.